New glamping site located at the foot of the Mourne Mountains has opened in Northern Ireland. Grab your friends and Go Glamping! The term glamping was relatively unheard off a decade ago. But in the past few years this buzz word has hit the UK holiday scene with a bang. Glamping is continuing to win over travellers, especially those who want to experience the outdoor way of living without foregoing any of life’s luxuries. So why is everyone wanting to try the phenomenon of ‘glamping’ and why the sudden rise in popularity? 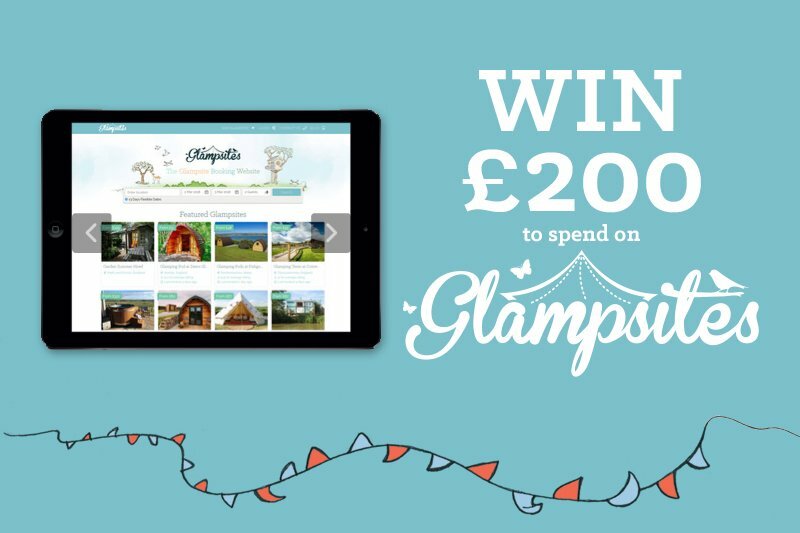 The glampsite booking website Glampsites.com, delve in to discover why ‘getting back to nature without getting back to basics’ is so popular. Glamping accommodation now comes in many forms. The ‘traditional’ glamping units such as glamping pods, bell tents, shepherd’s huts, tipis and Mongolian yurts remain popular but there is now more and more glampsites breaking the mould and offering quirky accommodation for a unique experience that you’ll never forget. Imagine sleeping in a helicopter, snuggling in a hobbit house or relaxing in a romantic gypsy caravan! Why settle for ordinary when you can book a quirky night’s stay that offers the comfort and facilities that would rival many top hotels. Glampsites.com offer a variety of one-of-a-kind accommodation that you’ll be talking about for years to come. The sharp rise in the cost of holidays abroad and the drop in the value of the pound against the Euro, have led to a boom in staycation holidays. UK tourists are opting to holiday at home rather than heading abroad. Holidaymakers are seeking ways to cut costs and glamping can provide the perfect solution for a cost effective break away. If you have a limited budget, Glampsites.com offer plenty of accommodation options for less than £50 per night. Alternatively you can splash out and treat yourself with a luxury glamping break that offers true comfort with the likes of a private hot tub. With such a wide range of accommodation options available on Glampsites.com for varying budgets, you are sure to find the perfect glamping stay that won’t break the bank. A glamping break lets you enjoy a stay close to nature without ‘roughing it’ or foregoing certain home comforts. You can have electric, a bed, en-suite facilities, a kitchenette and even a hot tub. It takes the best parts of camping; gathering around the fire pit and spending quality time with your loved ones and upgrades it to a more luxurious and grand experience. You can opt for glamping accommodation with no electric, lit only by battery-powered lanterns and tealights or choose to stay completely off the beaten track with no wifi, cooking your meals over an open fire. Evenings can be spent on a veranda taking in uninterrupted views, watching the sun go down before a night beneath the stars. Glamping is truly a great way to soak up the outdoors and revert back to the authentic, simple way of life. Glamping has welcomed a wide variety of people to the great outdoors. It has become popular for family holidays, weekend breaks with friends, romantic getaways for two or even the individual who wants to escape the hustle and bustle of everyday routine; glamping really is for everyone. Glamping has also brought back those who camping have lost, when first time camping experiences often become the last, with either unpleasant weather or an uncomfortable sleepless night taking the blame. New customers are opening themselves up to the world of glamping as they seek a flavour of what the outdoors has to offer. Because of this trend, it is safe to say that glamping is not only here to stay, but will undoubtedly continue to grow.